This article continues the list of functions you can accomplish with the Article Manager. To get step-by-step instructions, please visit the Editorial Chapter of our ePublishing Knowledge Base. Within the Article Manager, click Search to find and select articles for review or export. Search Term: Search based on company name, article ID#, and article title. Sort Results: Narrow search results by headline ascending or descending (alphabetical or reverse alphabetical order), when it was created, or when it was posted. Posted After: Set a date to limit the search's oldest result. The assumption is the END range is today unless otherwise set. Posted Before: Set a date to limit the search's newest result. The assumption is the END range is today unless otherwise set. Published Status: Choose from 'Published', 'Unpublished' or 'All'. Taxonomies: Choose as many taxonomies as you wish to match against articles. This is an AND search, meaning the results will need to match all of the taxonomies you select. When you export articles from the search results, the results will be available as an external file downloaded to your computer. Read the next section of this chapter for more details. Search results will show the information below. Title: Title of the article. Clicking on the article title opens the Article Manager for the chosen article. Pagination: If there are more than 50 articles in your search results, look at the bottom right of the search results to view the next page of results. When you need to retrieve article data, use the EXPORT functionality in the Search function within the Article Manager. See your options in the image below. Update your search parameters to narrow your article results, if desired. If you’d like to export just selected articles, click the checkboxes next to those articles. If you’d like just the first page of search results, click the SELECT ALL checkbox at the top to select all of the results on the current page. If you make an error, click the DESELECT ALL link. Select either Export all results or Export selected articles only. Select the green Export button. You will be provided a downloadable XML file to save on your device or desktop. Note: If you have a large number of articles in the export, your export may take a few minutes. By default, related articles or blog posts are automatically populated using a search algorithm if your articles have a spot for Related Articles or Blog Posts. For those times where an article needs specific associated articles or blog posts, follow the steps in this article: How do I select articles, blog posts, listings, etc. to appear next to my content? Articles and blog posts must already exist in your system, either PUBLISHED or UNPUBLISHED. The associated content will not be shown in any callout until it is PUBLISHED and has the correct GO LIVE dates set. After your article is SAVED, go to Edit > Related. Select the link Search for Related Articles or Blog Posts. 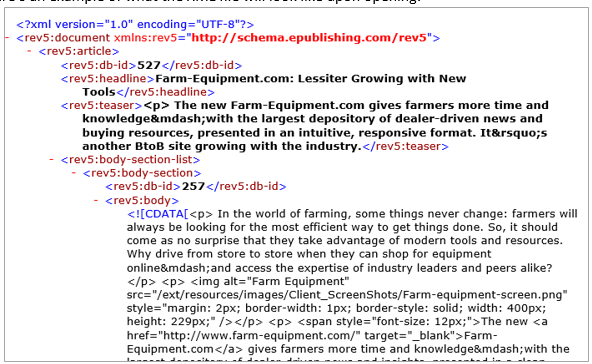 This opens an overlay for either Article Manager > Search or Blog Posts Manager > Search. Find the desired content and select the checkbox to the left of the titles. Once you have selected your content, click the Confirm Selection link above the Titles, which will return you to Edit > Related. Open the article in the Article Manager. Go to Edit > Related and select the checkbox to the left of the title of the associated content to be removed and click SAVE at the bottom of the page. Note: This simply removes the direct association between the original content and the associated content. No content is actually deleted. View or edit comments to fit your website’s guidelines. Mark comments as offensive or spam, or edit, delete, deactivate or refresh a comment. View the commenter’s name, IP address and the date and time of the comment. Within an individual article in the Article Manager, click Comments under Edit. Access all comments for your website in the Comment Manager in the main navigation under Editorial. To narrow search results, enter a date range, or filter by type of comment, including offensive or inactive. Learn more about using the Comment Manager in: How do I manage comments? Note: A commenter’s IP address is recorded based on the IP address provided to common Web server logs. If readers are using IP masking, spoofing or other methods to hide their IP addresses, the system cannot identify fraudulent users.